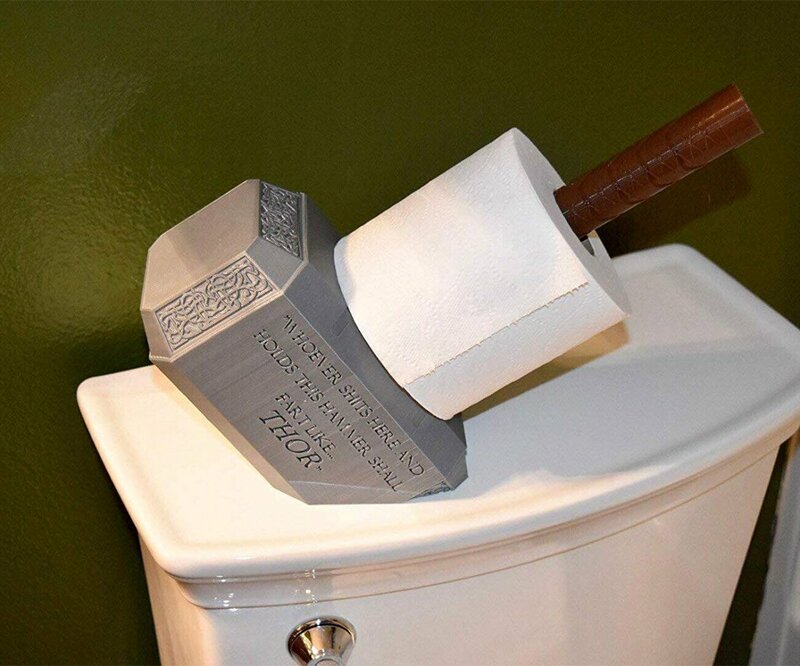 Are you worthy of Thor’s hammer? I sure hope so, or you aren’t wiping this day. Mjolnir can fly, smash through objects, break people’s faces, and much more. Now it can also hold your toilet paper, allowing those who are worthy to uh, clean up. This mythical weapon is made from “sturdy, heavy-duty materials.” So not exactly Asgardian metal that was forged by a Dwarf blacksmith in the heart of a dying star, but still. Instead, it is 3D printed. 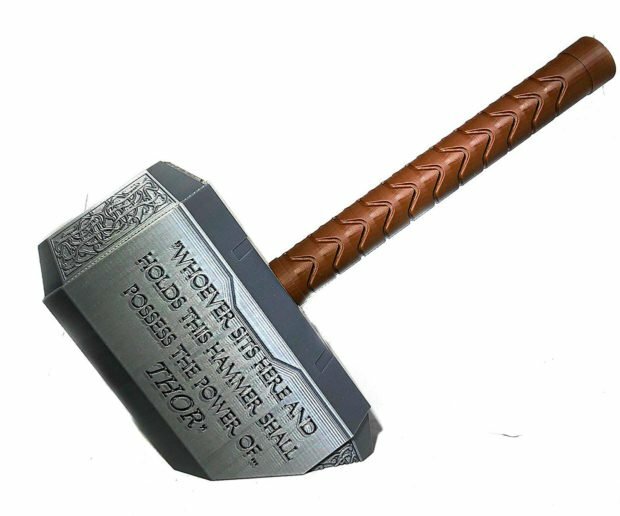 The important thing is that it looks just like Thor’s weapon with all of the details including the intricate patterns on the tapered ends and an inscription that apparently reads “Whoever Shits Here And Holds This Hammer Shall Fart Like THOR.” Or is this what it says? I’m not sure which it is. I guess it’s a crap shoot. Now you can wipe like Thor too after sitting on your porcelain throne. It’s designed to be wall-mounted or used as a free-standing toilet paper holder, and looks good on the back of a toilet. Just do your business and when you are done, STOP. Hammer time! You might even call this “End Game” for the seated Avenger.